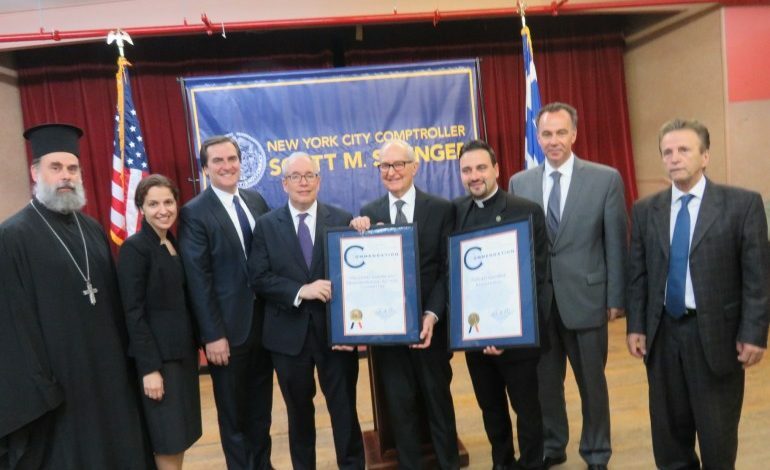 Loud applause greeted NYC Comptroller Scott M. Stringer and fellow politicians at the Greek Community Breakfast sponsored by his office on Friday April 27, 2018 in the Stathakion Cultural Center, 22-51 29th St., Astoria. 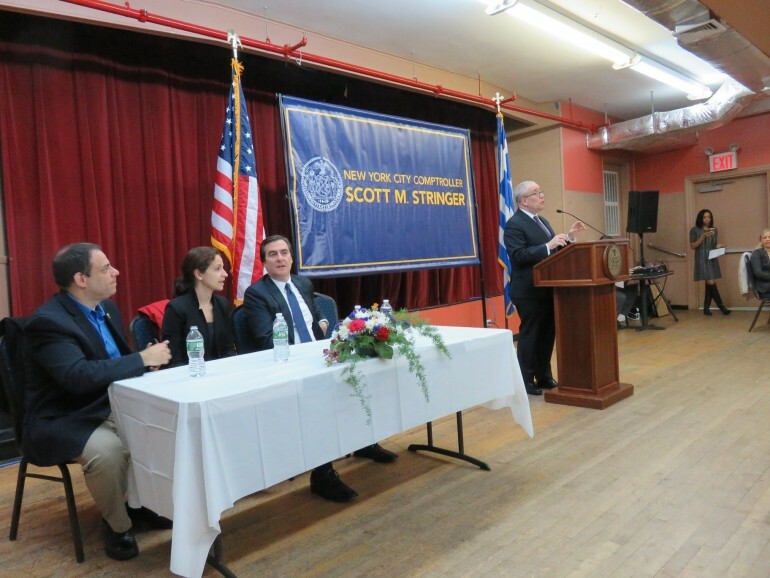 The NYC State Senator Michael Gianaris, Assemblywoman Aravella Simotas, and Councilman Costa Constantinides, clergy, federations and societies representative of the Astoria area attended. This is the Golden Age of Greek elected representatives in the area. 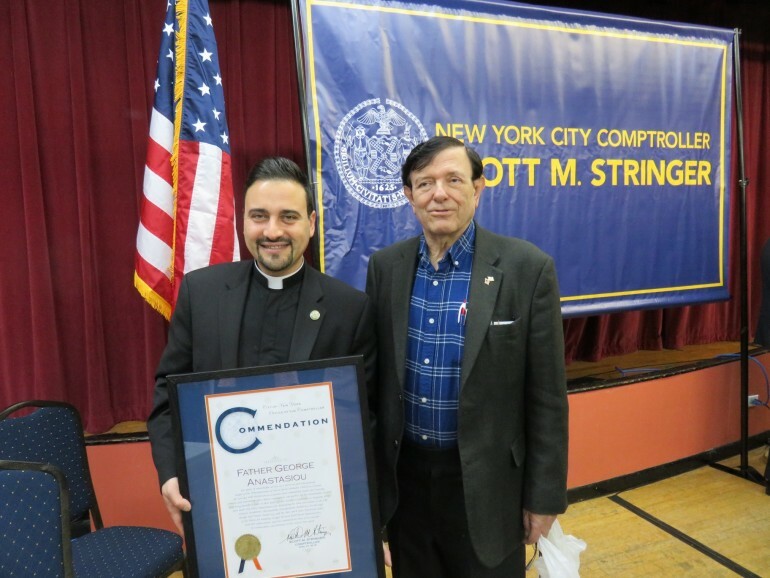 Father George Anastasiou, the pastor of the Church of the Transfiguration of Christ in Corona, Queens, and HANAC under the directorship of John Kaiteris were honored. A filled audience with standing room only was present. In this age of distrust for Washington, D.C., only positive feeling was present for NYC Comptroller Stringer and fellow representatives of the Democratic Party. I have never seen applause for anyone. It began with Assemblywoman Simotas who greeted every table with humility and smile. 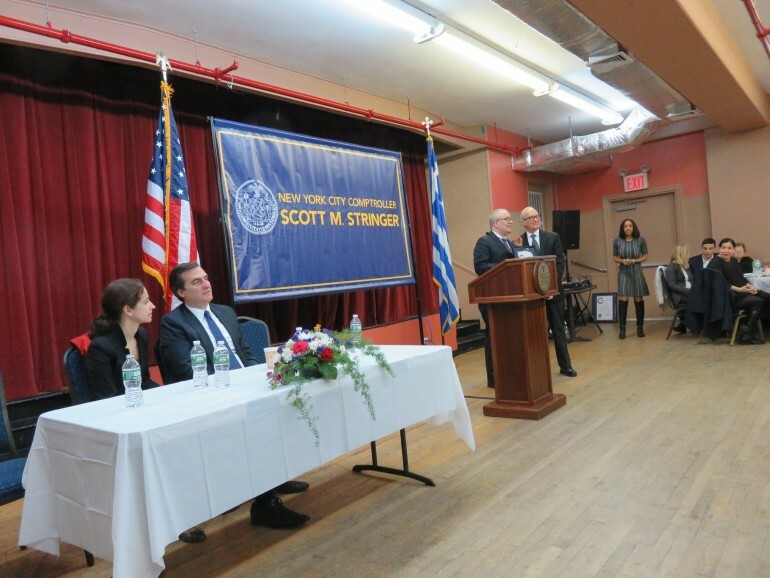 State Senator Gianaris entered and the enthusiastic applause continued for this historic figure that opened the doors for Greek-Americans to enter politics. The momentum continued with Councilman Constantinides, who was praised for his dedicated work on the budget. This led up to the entry of NYC Comptroller who received strong, unanimous applause from. This was an exceptional Greek Community Breakfast. Excellent American and Greek continental morning cuisine was offered. Elaine Xiaojiang Fan, Queens Borough Director of the City of New York Comptroller’s Office of Scott M. Stringer and her staff accomplished an outstanding public relations effort with the silent majority of middle class Greek-Americans of not only Astoria, but the entire New York City. Personally, I was impressed that NYC Comptroller Stringer cared about us, the persons, who work, follow the laws and don’t expect handouts. At the April 27th, 2018 Greek Community Breakfast, we were all proud to be New York City Democrats for a country who cares for its American citizens.